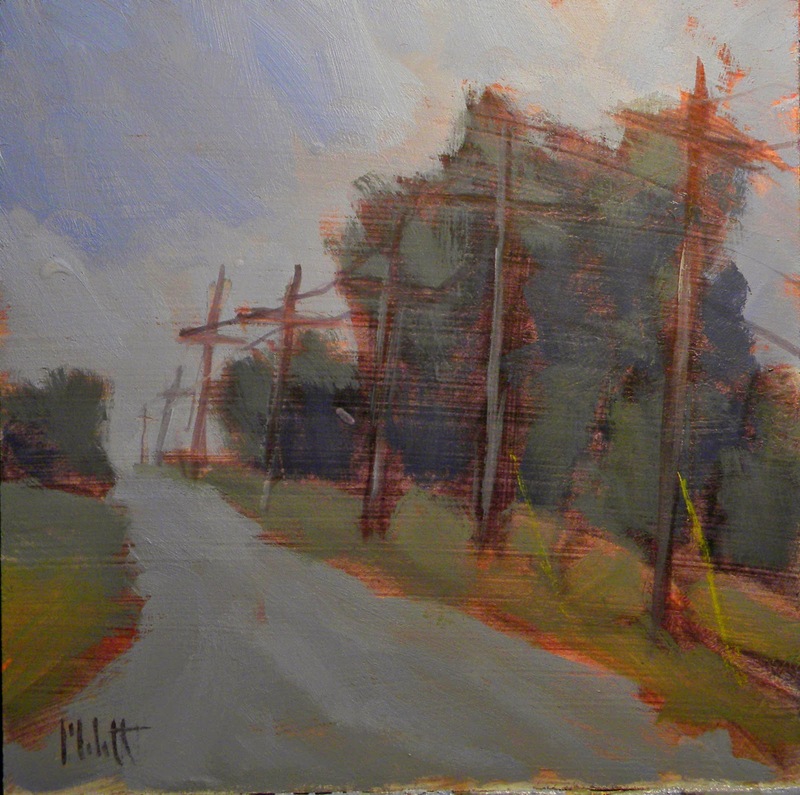 This little oil sketch is a "snapshot" of an any day occurrence. Those little parts of our busy day that go unnoticed to most. Unless you are a romanticist at heart. They go through life noticing the "beauty" in odd places and if they aren't careful, just about walk or drive off course while admiring it.